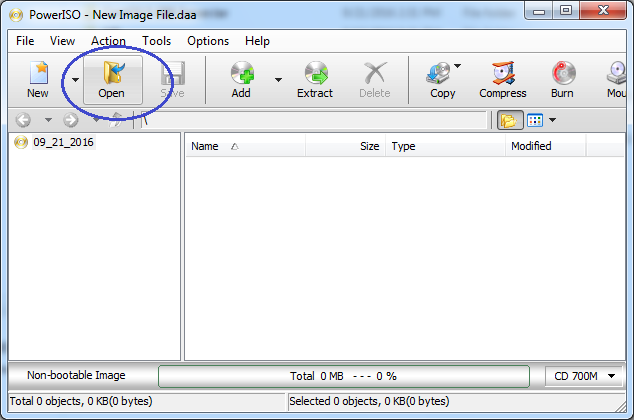 Click the "Open" button on toolbar or choose "File > Open" menu to open vmdk file. If there are more than one partition in the vmdk file, PowerISO will list all partitions, you need select a partition from the list to continue. 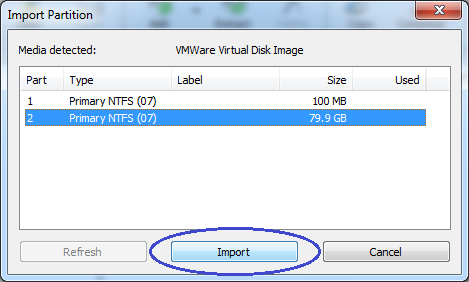 After you have selected the desired partition, please click "Import" button to continue. PowerISO will open the vmdk file, and list all files and folders in the selected partition. You can then browse or view contents in the vmdk file. 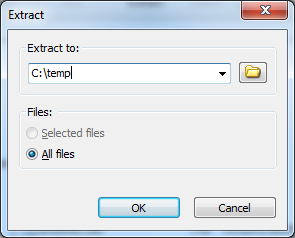 If you want to extract files in the vmdk file, please click the "Extract" button on toolbar. 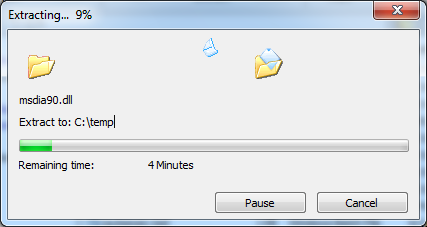 The "Extract VMDK file" dialog will show. Please select the destination directory for extraction. If you want to extract all files, please check the option, "All files". Otherwise, only selected files will be extracted. Click the "OK" button to start extracting. PowerISO will show the progress information during extraction. 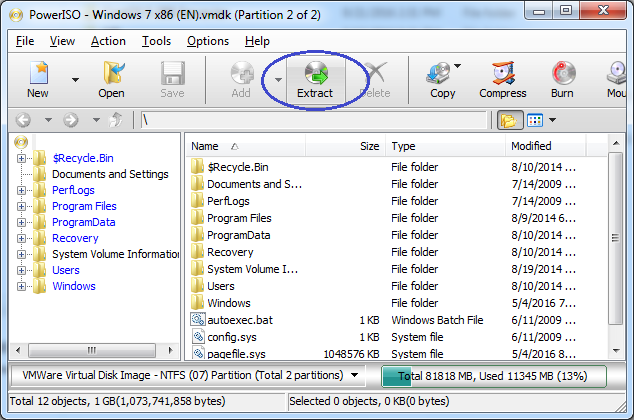 If you want to extract another partition in the vmdk file, you need open the vmdk file again, and select the new partition desired.